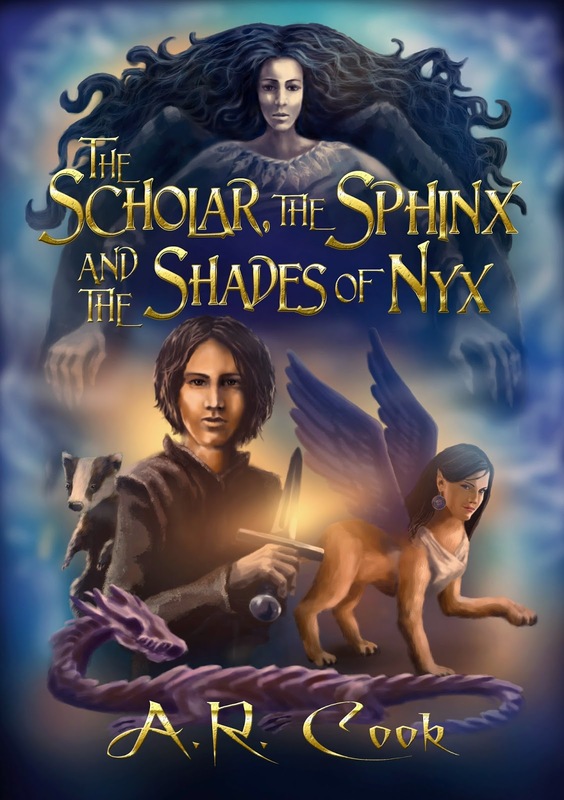 The Scholar, The Sphinx and The Shades of Nyx starts when David Sandoval gets kidnapped by a gypsy caravan and discovers that the ‘mistress’ is a Sphinx. She is slowly getting drained of her powers by a part of Nyx herself, a Shade. David must journey beyond the world that we can see, into the depths of the Curtain and beyond. I enjoyed this book greatly. I must admit, at some times the plot was a bit muddled. For example, at the start of the book, you are sort of thrown into the story without any background of David or any explanation as to why he is at a particular place. At other times, I found myself caught up in the plot that A. R. Cook weaved. I really enjoyed the vivid descriptions of the characters and setting of the different worlds. You will enjoy the mythological characters in this book. One character that I particularly liked was the adorable Tanuki, a shape changing badger from Japan. He will definitely make you laugh at his funny antics. I hope to see him reappear in the next in the series. David Sandoval is an engaging hero, seeming a bit reluctant at the start of his journey. This is a wonderful new series and I strongly advise you to stick around for the Epilogue. This book is a truly magical Margaret Mahy adventure. Tom and his mum move into Number 1 Prodigy Street. "What's a Prodigy?" Tom asks his mum. "A Prodigy is a magical surprise" his mum told him. Tom goes on to befriend Sarah from Number Three (who loves cats) and Thomaz Mirabilis with the red cloak and magical dog that move into Number 22. Najki (the dog) has a magical tail that grants wishes. Sometimes this causes problems because of careless wish making. The three all go on to have adventures including encountering the horrible Cat - Kickers gang. Najki also narrates portions of the story giving an interesting dog's point of view. This is a delightful Margaret Mahy story with great black and white illustrations by Tony Ross. 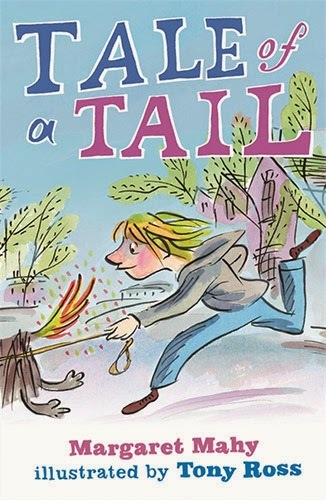 Tale of a Tail is a story for children from the ages of 7 to 10.
Review written by Lynne Wardrop, Gladstone's very own amazing librarian. The Forbidden Library is Django Wexler's first attempt at YA (young adult). According to the back, Wexler is trying to create a classic in the mould of Narnia and Alice in Wonderland.Funny enough, the main protagonist is also called Alice. While sneaking around after bed time, Alice, a young girl of 12, stumbles upon a secret meeting her father is having with a fairy. Yet, this fairy is more like a fat flying bumble bee, nothing like what Alice imagined a Fairy would be. The day after, her father goes on a trip and then suddenly disappears. He is declared dead and Alice gets taken in by her estranged uncle Geryon. Her uncle lives in a mansion called The Library which is full of cats. In The Library, Alice does mundane jobs for her uncle. She has a sneaking suspicion that the cats are watching her, even laughing at her. One day, a black cat starts talking to her! He leads her through the library and soon enough Alice is lost, it’s as if the library was shifting and creating new pathways as they were walking. By accident, Alice picks up a book and suddenly along with the black cat, is sucked inside the book. The cliche of kids being sucked through into another dimension has been done a lot of recently years, however, children who read these types of books love it. Why change something that works? The worst thing was it seemed like a rehash of my favourite kids book Coraline by Neil Gaiman. Young girl, black cat that can talk, alternative universe. However, it wasn’t until about halfway through the book that I started to change my mind. One of the differences is the magic in this book. Those who can be “sucked” into books are called Readers and they have the ability to understand magical books (known as prison books) and bind creatures inside these books to themselves . This grants them their powers. To do so however, they have to defeat the prisoner inside. The way Wexler incoporates the powers is really well done. At no time is the magic too powerful and the characters in the book find clever ways at solving their problems. Something that I though Wexler could have done better was build up more suspense through the latter half of the book. While he builds up a lot of the background, the interesting parts end much too quickly. Wexler also writes adult fantasy books, so I hope it isn't too long before the sequel to The Forbidden Library comes out. 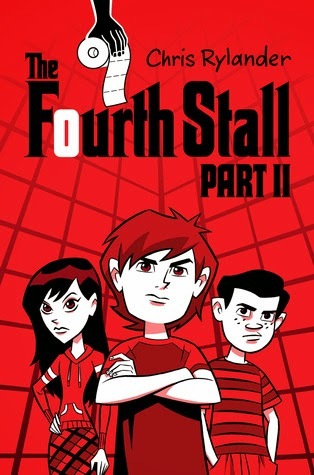 The Fourth Stall Part II by Chris Rylander is set in a school’s boys’ bathroom, which is the office of the main character, Mac. Mac earns money running a business from his office which is so far away that no one uses it, except for the people who come with problems. In the first book (The Fourth Stall) someone stole all the money that their business had made and I thought it might have been a normal breaking and entering, but it was a story of betrayal. This book like the first is a middle school mystery. These types of books always draw me in and if I’m reading in the morning, I can’t get out of bed until I know what is going to happen next. It is really exciting with lots of action. There are lots of little side stories but one of the main ones is about the new Principal closing in on closing Mac's deserted bathroom. My heart jumped every time the principal was near Mac. I read on nervously. At first I thought that the principal was good because everyone expects all principals to be good, but as I read on, he wasn't what I thought he was. Chris Rylander’s book ideas come from songs, movie scenes, and stories people have told him. Chris’ favourite books are Sideways Stories from Wayside School and Diary of a Wimpy Kid. Like the Fourth Stall series, these books are set in middle school and the main characters are similar - they are funny and not very popular. 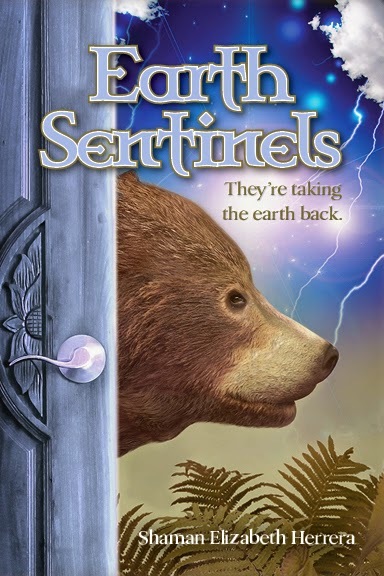 Win a copy of Earth Sentinels by Shaman Elizabeth Herrera. Earth Sentinels is targeted at older teens (15+) and has violence in the book. Enough is enough! They're taking the land back! Earth Sentinels offers insights into current environmental concerns and indigenous injustices woven into an epic adventure. The story is filled with compelling characters, such as the fallen angel Bechard, shamans, spiritual beings and earth’s creatures who collaborate using supernatural powers to save the planet from imminent destruction, demanding that mankind changes its way…or else. You’ll meet 17-year-old Zachary, whose family’s organic farm is being ruined by fracking; Haruto, living in Fukushima, Japan, where the nuclear meltdown is raging out of control; Mahakanta, a cotton farmer in India, who used GMO “magic seeds” with devastating results; the Amazonian tribe members, Conchita and her father, Pahtia, fighting against intruders illegally tearing down their rainforest; and the Bear Claw First Nation Tribe who are dealing with an unstoppable oil spill ruining their traditional hunting grounds. As the events unfold and the world retaliates, each character is forced to question their own motives. To win, just comment on this post or go over to facebook.com/thebestkidsbooks and comment on the post there. The Winner's Curse is a young adult book (YA) classified as a Dystopian novel but to me it was more a Fantasy/Romance crossover. While the romance is dramatic, in that it draws you in, and the writing is quite beautiful and clever at times, I found the characters and the storyline of the novel to be very simplistic and a little cliché. Still, the Winner’s Curse is an entertaining and sometimes intriguing book. Kestrel is the 17 year old daughter of the powerful General of the Valorian Empire – the victors of the war with the Herrani people. Like all Valorian youth, Kestrel is trained in basic military self-defence so that when she becomes of age, she has to make a choice to join the military or get married. Kestrel finds neither appealing. At the marketplace one day, Kestrel observes a Herrani slave auction and surprises herself, and everyone else, by bidding on a young male slave, Arin. Kestrel is attracted to his reputation for being a fine singer which aligns with her scorned upon passion for music. Little did Kestrel know that this spontaneous decision would begin a complicated relationship of forbidden love and this, combined with the fact that Arin is the holder of a dark secret that could be the undoing of the Empire, makes for an interesting plot. Kestrel is strategic, clever and cunning, but I found that she seemed to overcome all the challenges in the book too easily. This lead to parts of the book being too unrealistic for my liking. (Spoiler) In one section Kestrel managed to stop a war from happening with a simple conversation that took less than a chapter. It seems that any obstacle that Kestrel faced was effortlessly overcome due to her tactical mind. 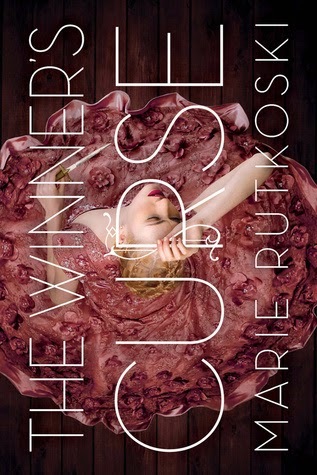 Even though The Winner's Curse has a lack of depth in places, I think that it has a certain charm that makes you want to keep reading until the end. Be prepared for the story to have a slow start knowing that it will become more interesting about two thirds of the way through. Overall a good read for those who like history, romance, fantasy/dystopian genre.